Apply online application to SKIMS Recruitment 32 post of Staff Nurse. Jammu & Kashmir, Sheri-Kashmir Institute of Medical Sciences (SKIMS) Recruitment Board, latest notification for Staff Nurse. Applicants can get full advertisement below and submit the SKIMS online application at www.skims.ac.in. Applicants who are going to apply, ensure that you are eligible for post of Staff Nurse. The applicants will have to apply online, no other option. The last date of submitting online application is 09.11.2015. SKIMS notification further information such as eligibility criteria, syllabus and how to apply etc. listed below. Education qualification: Applicant who want to apply for above posts must have Graduation B.Sc. Nursing/ Post Basic Nursing. from recognized board. Payment of application fee can made through bank challan in any of the branches of Jammu & Kashmir Bank authenticated by the bank Branch name & Code No., Transaction No., Date of Deposit. How to apply: Eligible applicant require to apply online through Sheri-Kashmir Institute of Medical Sciences (SKIMS) website www.skims.ac.in from 26.10.2015 to 09.11.2015 & after submission of online application send printout of application, attested copies of certificates of qualification , date of birth, permanent resident, reserved category, certificates of married/ unmarried from a Gazette Officer, marks certificates to the security beat in front of Administrative Block SKIMS on or before 10.11.2015 from 02:00 pm to 04:00 pm. 1. 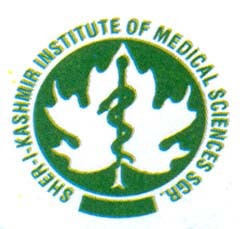 Log on to the Sheri-Kashmir Institute of Medical Sciences (SKIMS) website www.skims.ac.in. 6. Make the payment by bank challan in any of the branches of Jammu & Kashmir Bank authenticated by the bank Branch name & Code No., Transaction No., Date of Deposit. Applicants have great chance to get jobs Sheri-Kashmir Institute of Medical Sciences (SKIMS) Recruitment, however if someone want to ask anything please comment below or email us at contactus@skims.ac.in.